There seems to be no end to the number of interesting things that you can find out there on Kickstarter. Sure, there’s a lot of cruft to sift through, but when you find those gems, there are some interesting things to be found. Take, for instance, this project for a wallet. Doesn’t sound too exciting, and we’ve seen that sort of thing before. Well, how about a wallet that utilizes some of the “technical” materials that we see being used in performance gear? That’s what the Pioneer Flyfold Wallet is going for. So, about that fabric. The Pioneer Flyfold Wallet is using a ripstop nylon (which we’ve seen before in a variety of products) but the way this one is woven is supposed to make it ten times stronger than steel. Add in water resistance, construction that relies on heat welds (rather than stitches) and bar tacks to reinforce, and you’ve got yourself a wallet that looks to last for the long haul. Some minimalist wallets will force you to compromise what it is you carry. Others are a dramatic rethinking in how it’s configured, such as being more of a card carrier than a wallet. Some folks are ok with that shift, others like the traditional feel. Well, with the Pioneer Flyfold Wallet, you’ve got that old school billfold utility updated for today’s materials. With the dimensions 205mm x 83mm (when opened), the Pioneer Flyfold Wallet is definitely a full-size wallet. This means you can slip some bills in there with out having to fold them before putting them in just to be able to carry them. With the oversized card pockets, the brand estimates you should be able to carry up to 10 cards as well. Given the thinner material, this should still be relatively compact. But, if you’re going to switch, you might as well do what you can to lighten your load, so to speak, and weed out stuff you don’t need to be carrying, in my opinion. Material: 10XD is a ultra-high-molecular-weight-polyethylene blended into nylon ripstop. 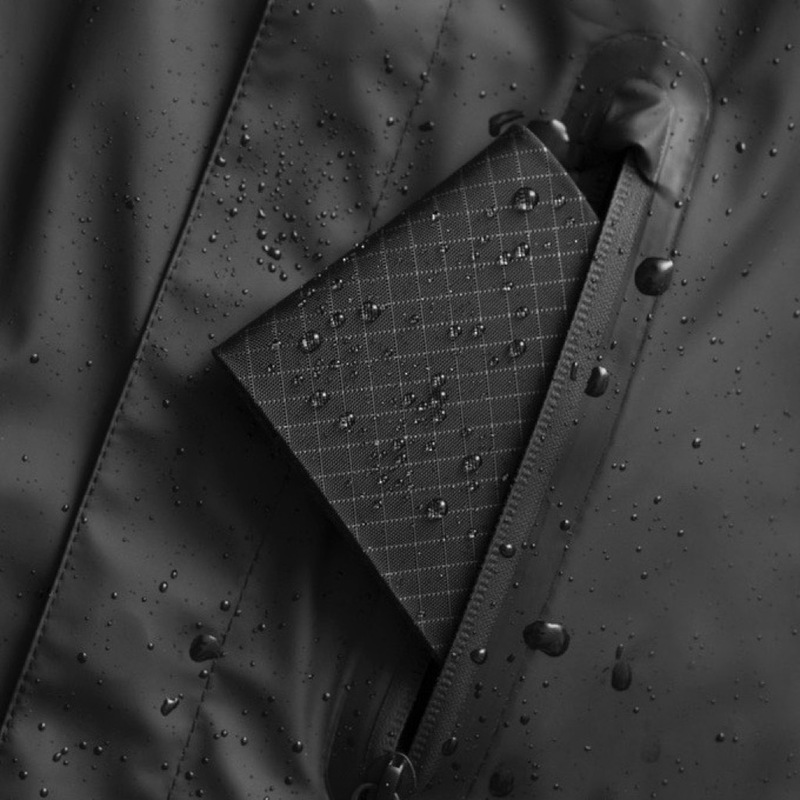 This lends it a dirt and water repellence, along with being durable. Next articleAhoy there, it’s the new Mido Ocean Star Automatics!